Squid ink can create a wow factor in cocktails. At Del Campo in Washington, D.C., the Pantera (pictured) includes Pisco, tomato juice, Bloody Mary mix and squid ink, among other ingredients. In addition to contributing a dark color and salty component to cocktails, squid ink has become a conversation starter behind the bar. Courageous mixologists are using squid ink in a variety of drinks that traditionally incorporate savory ingredients, such as Martinis and Bloody Marys, as well as in inventive new creations that boast sea-worthy garnishes. Squid ink is a polarizing product that consumers either love or hate, so it won’t likely go mainstream any time soon. But that isn’t stopping some creative mixologists from putting a taste of the ocean into their cocktails. 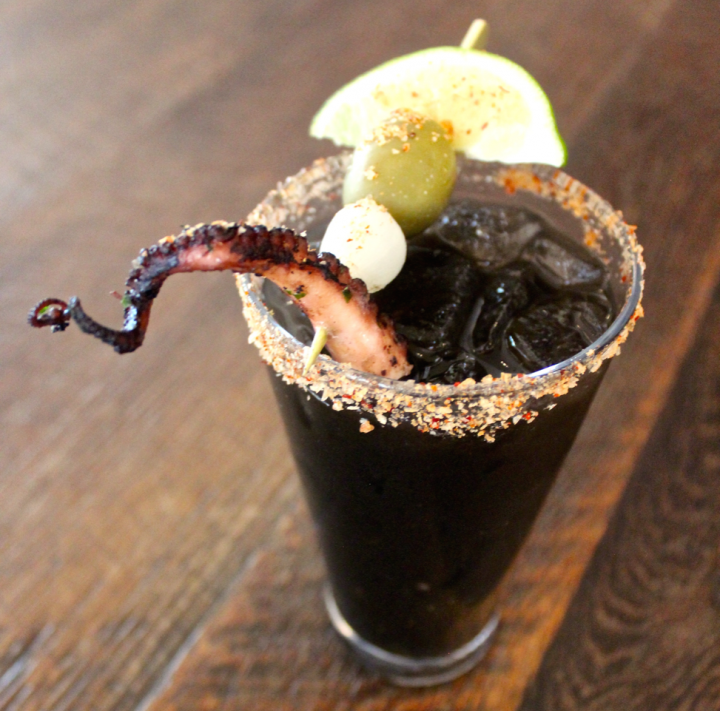 Seddiq uses squid ink in a Bloody Mary–style drink that he calls the Pantera ($12). First he heats the ink in a pan with a bit of lemon juice to thin it out and enhance the flavor. Then he mixes Soldeica Pisco Acholado, house-made applewood-smoked tomato juice, house-made smoked Bloody Mary mix, a bar spoon of squid ink, fresh lemon juice, fish stock, horseradish, Worcestershire sauce, salt and pepper, and grilled rocoto chili pepper, garnished with a piece of grilled octopus. The cocktail is available during Del Campo’s brunch service on Saturdays and has become popular with guests.